Following my University of the Arts London showtime posts for Cherica Hayes and Max Dovey is this one for Yeashin Kim, from its London College of Fashion. 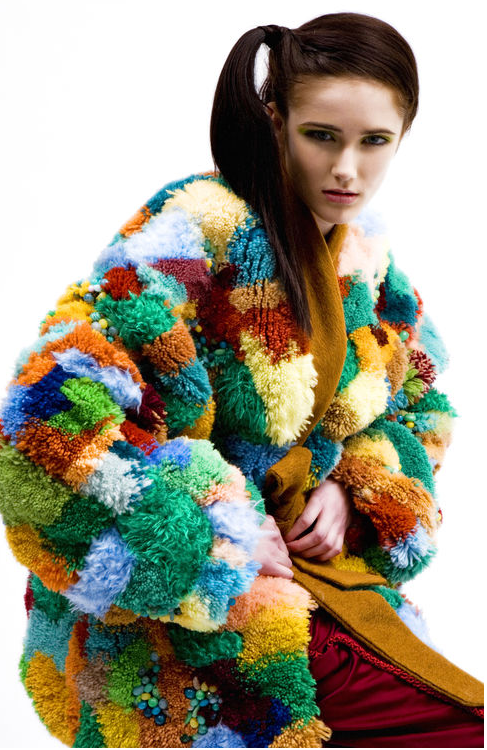 Yeashin Kim is undertaking a BA Honours Degree in Fashion Design Technology: Womenswear. She is from Seoul, South Korea currently living in London, England. Her fashion pieces are multi-coloured and inspired by the sea – in particular corals and tropical fish. In her own words she believes that fashion is an art and its designers artists. She states that she wants to inspire joy with her works and cites inspiration in this from the Rococo period (late Baroque – art as an end in itself – art for art’s sake) and Antoine Watteau (one of its French practitioners) She states that what she cannot communicate in words she can in textiles. Finishing that she completes her work not just with her hands and eyes but her mind too. 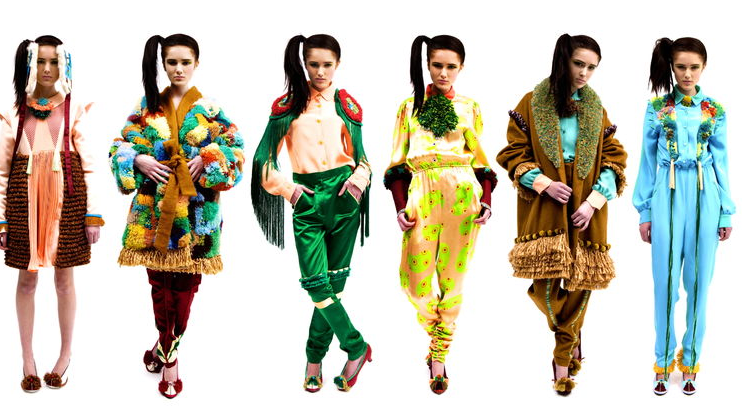 She already has an award to her name, the WGSN Global Fashion Awards 2011 for Most Creative Student Collection. Her work has been featured in Vogue and Glam along with a number of blogs. I have not been able to find a website for her or her works. She does have a Facebook page – though the option is to befriend rather than to follow! Showtime presents a lot of photographs of her works if not in any narrative form. They do though give you an idea of Yeashin Kim’s work. In addition to images of her works there are images of her inspirations such as tropical scenes and several Rococo art works – though sadly no details about the particular paintings. The standing man in clown suit I discovered through online research (yes I used Google Images!) is titled ‘Pierrot’. 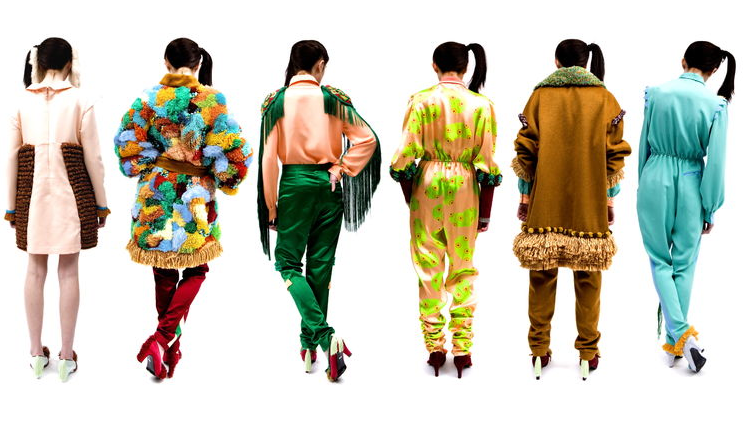 I share the belief of Yeashin Kim that Fashion is Art – or that it can be – and certainly consider her works as art. And so enough words – let the fashion speak for itself. This entry was posted in Art, Fashion and tagged Antoine Watteau, London College of Fashion, Rococo, University of the Arts London, Yeashin Kin. Bookmark the permalink. ← Do you remember… Northern Exposure?